Despite their fur, doggies can get cold in the winter just like humans do. 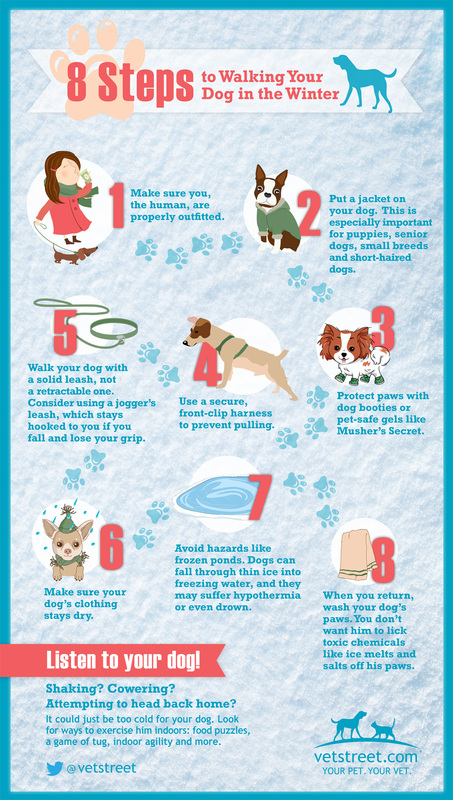 But don’t get low temps keep you from walking your best friend or playing with him out in the snow—you just need to take a few extra precautions. For tips on how to keep your pup warm and safe during a wintery promenade, check out the infographic below!